If you’re a hockey fan and want to watch lots of NHL games, it may be hard to find all of the games you want to see online. This is where the NHL.tv Kodi addon can help. NHL.tv is a paid streaming service offered by the National Hockey League. It allows you to watch NHL games not carried by your local TV stations. 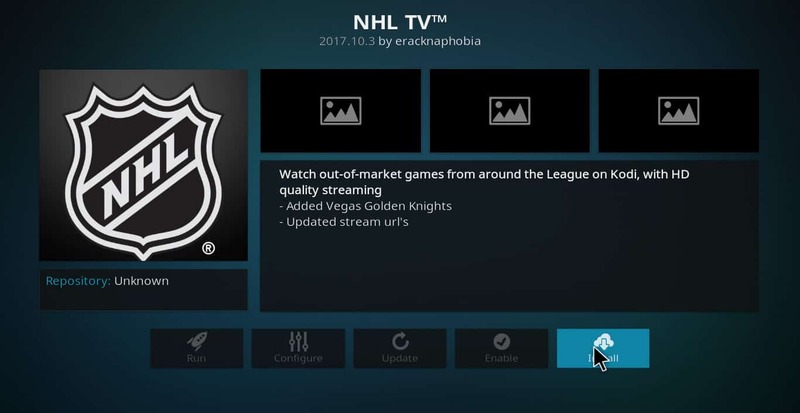 The NHL.tv Kodi addon allows you to access this service through your Kodi, just like you would any other streaming content. 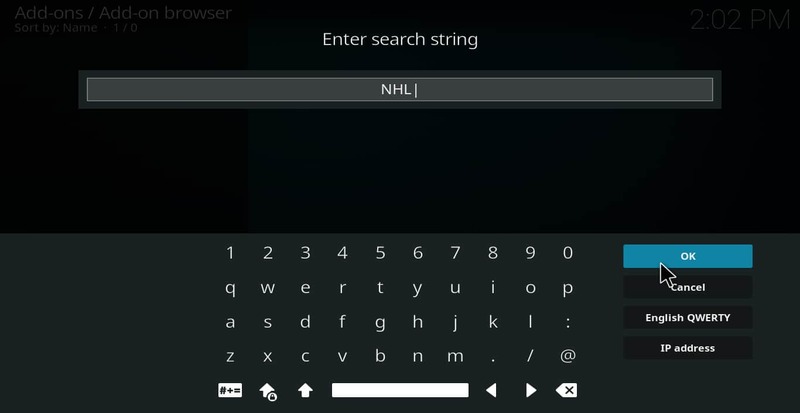 This article will explain how to install and watch NHL on Kodi. See also: How to watch NHL on Kodi for a full list of options. Kodi is a free media player that you can use to watch online TV shows, movies, sporting events, and other programming on your PC. Unlike many alternatives that can be used for streaming content, Kodi has an intuitive interface that feels similar to using a cable box or DVD player. It can be controlled through a smartphone app or RF remote, and it can integrate a wide variety of streaming content into one piece of software. This prevents you from having to switch between different applications and web browsers every time you want to watch something new. For these reasons, Kodi has gotten very popular with “cord-cutters,” or people who seek out online alternatives to cable TV. Kodi can be added to almost any inexpensive streaming device, such as the Roku Box, Amazon Fire TV, and Apple TV, or downloaded onto any Windows, iOS, Mac OS, or Android device. Kodi has gotten some negative media attention lately because it is claimed to be a tool for accessing pirated content. However, while it is true that Kodi can be used for this purpose, there are also plenty of legitimate programs available for it as well. There are some privacy and security risks when using Kodi, but these can be minimized with the proper precautions. 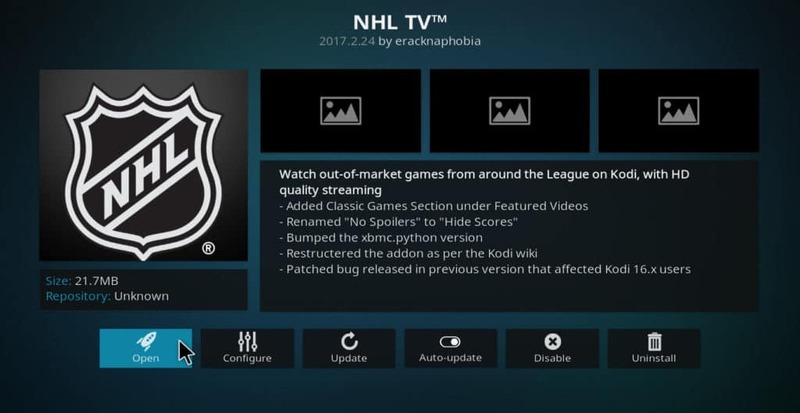 The NHL.tv addon is part of the official Kodi repository. This means it has been through a more strict vetting process than most third-party addons. However, it still has some privacy risks. For example, many Kodi users have experienced buffering problems when trying to play videos. In most cases, these problems are caused by completely normal issues like slow connection speeds, network connectivity issues, or cache size not being optimized. In some cases though, users have experienced this problem even when all of the usual explanations have been ruled out. If this happens to you, it may mean that your ISP is slowing your speed deliberately because it doesn’t like you streaming video rather than subscribing to cable TV. One way of dealing with this problem is to use a VPN. A VPN disguises the data you’re sending and masks your IP address. This way, your ISP can tell only that you are downloading a lot of data but not why you are doing it. Unfortunately, most VPN services are not made for people who stream video. Some of them rent servers that are outdated and cannot keep up with the large amount of data required for high definition video. Others keep logs of users’ activity, leaving private data about your streaming habits available for determined hackers and other malicious persons to acquire. For these reasons, we recommend IPVanish for Kodi users. It provides its own physical infrastructure so that it can keep data speeds high. This helps to eliminate that annoying buffering problem. It also keeps no logs, so you can sleep soundly at night knowing personal info about you is not getting into the wrong hands. The NHL Kodi addon can be installed from the official Kodi repository. Here’s how to do it. In the main menu, select the magnifying glass icon in the upper-left corner of the screen. If you have third-party repositories installed on your Kodi, you may see a message asking which repository you want to install NHL TV from. If so, select “Kodi addon repository.” If you do not have any third-party repositories on your Kodi, it should automatically install from the official repository. Click on the “visual” tab to see a list of options for how the addon will display video. The most important of these is the “stream quality” option. Set this too high and you will experience buffering. Set it too low and you will get low-quality video. I would recommend experimenting until you find the best bitrate for your system. The “visual” tab also allows you to toggle whether to hide or show scores, set your favorite team, and display how a team name shows up, amongst other options. Select “score notifications” to tell the addon how to display notices when goals been scored. You can control how many seconds the notification stays on-screen and whether the goal is “described” or merely stated. You can also turn off goal notifications entirely if you find them too distracting. If you’re a hockey fan, the NHL.tv addon is a great addition to your Kodi app. The service itself can be purchased for as little as $111.96 per season if you only want to follow a single team. When you consider that a hockey season is nine months long, that’s $12.44 per month. If you want to follow all of the teams and get all of the games, it’s still only $139.96 per season, which equates to around $15.55/month. 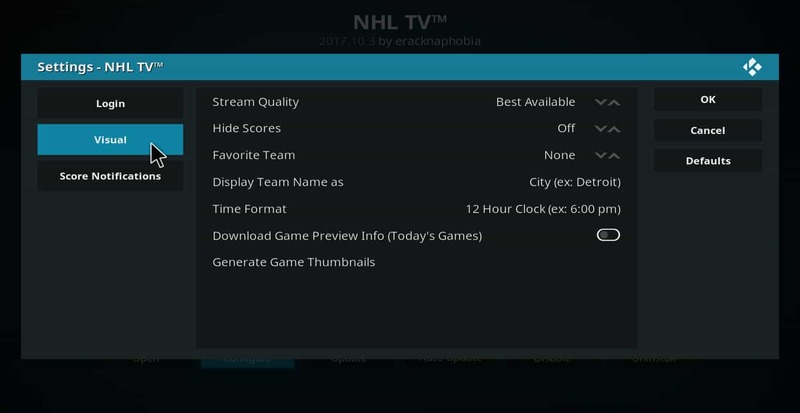 If you don’t want to pay for the service, the NHL.tv Kodi addon can also be used to watch free content from NHL.com. This consists of short clips of recent games, news, and recordings of classic games from 1959-1993. 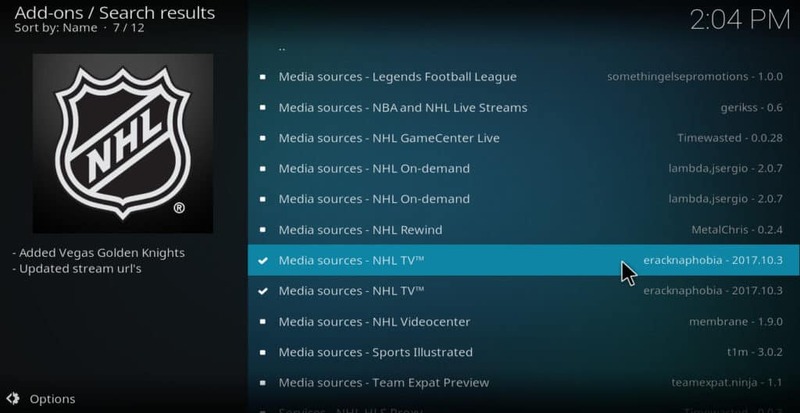 One significant drawback to the addon is that some games are blacked out if the rights to stream them have been purchased by national television channels such as NHL Network or NBCSN. If you can’t see the game you want using the Kodi NHL.tv addon, browse through our list of the best addons to watch NHL on Kodi. You may be able to catch the game you’re looking for on one of them.